Starring mostly newcomers in the lead role, Ee Nagaraniki Emaindi is the second directorial of Tharun Bhascker who shot to fame with Pellichoopulu starring Vijay Deverakonda in the lead role. Tharun Bhascker’s second directorial Ee Nagaraniki Emaindi has hit the screens and has impressed audiences enough to be termed as a hit film. 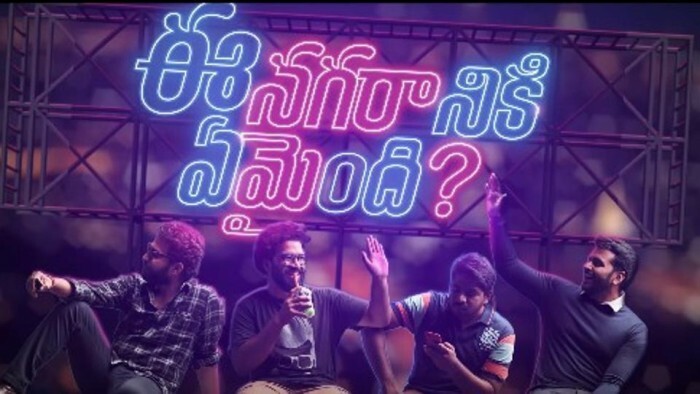 Said to be a story about four friends who venture out to work on a short film, Ee Nagaraniki Emaindi is a slice-of-life genre film which has impressed critics and audience as well. The premiere shows in the US were packed shows which seem to have made the makers a happy group. According to first day reports, the premiere shows and the first day shows in the US have earned a collection of approximately $97,000 while the shows in the Telugu states have gone past the Rs.1 crore mark at box office. Although the numbers are not par on with a big star film, it is being reported that the start is a decent one and the collections will pick up over the weekend since the film is receiving great reviews and encouraging word of mouth from all around. Starring mostly newcomers in the lead role, Ee Nagaraniki Emaindi is the second directorial of Tharun Bhascker who shot to fame with Pellichoopulu starring Vijay Deverakonda in the lead role. Produced by Suresh Productions, Ee Nagariniki Emaindi stars Vishwak Sen, Sai Sushanth, Abhinav Gomatam, Venkatesh Kakumanu, Anisha Ambrose and Simran Chowdary. Tharun Bhascker started off where he left with Pellichoopulu and seems to continue with the same momentum he gained with his debut film. Tharun is now one of the most sought after filmmakers in Tollywood.